How Many Auto Dealers Are in the USA? There are 16,708 new car dealers in the U.S. (according to NADA), and 139,278 used car stores (according to IBIS World Report). For the last two years, about 17 million new vehicles were sold in the U.S. in conjunction with another 40 million used light vehicles (according to Statista). When you figure the average new car sells for around $35,000, and the average used car sells for about $20,000, those are some big revenue numbers. If you were a dealer, you would have a shot at that! A few more numbers: according to Hedges and Co., there are 276 million vehicles registered in the country of which 44 percent, or about 121 million, are cars. Surprisingly, the average car on the road today is 11 years old. Think about that for a minute. I don’t know if you feel comfortable driving a car that is 11 years old, but most people wouldn’t. I have a bumper sticker on my Range Rover that says, “Honk if parts fall off!” This replaced the previous bumper sticker which said, “Every part that falls off this car is of the very highest British quality!” Recently, I had to deal with a blown head gasket, mass airflow sensor, coil pack, and throttle plate warmer gasket — all at the same time. The heater does not work (common problem) because to replace the heater core, the factory recommends taking out the entire dashboard. At some point, you just figure that it would be cheaper, and you would have more peace of mind, with a newer and presumably more reliable vehicle. That’s when you visit the local auto dealer and see what they have to offer. Don’t forget to bring your checkbook! What Are the Challenges Facing Car Dealerships? Running a dealership is hard work. There are many moving parts (no pun intended): new car sales, used car sales, inventory, parts, service, administration, etc. 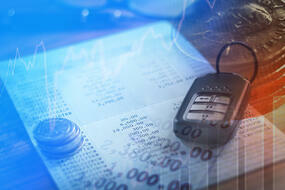 Millions of dollars flow through the dealership cashbooks and bank ledgers every week. Turnover among the salespeople is amazing: over 70 percent a year in many stores. Dealerships may have cash-flow issues impacting survival if they don’t have the right mix of makes and models, or are not in an area with the right demographics for their products. 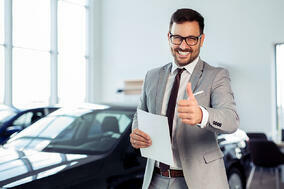 There are many details that go along with selling a car and you need to stay on top of all of them. If you have information stored in shared network folders, business apps like CRM and ERP, e-mail, local files, file sharing, and even paper documents in filing cabinets, you will not be able to keep up. What you need is a kind of supercharged general ledger accounting system that is specifically designed for car dealers. Fortunately, a dealer management system can help consolidate and coordinate all of these separate systems to work in harmony and increase revenue. 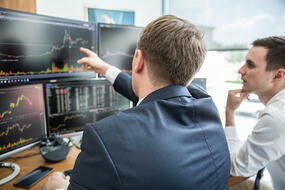 What is a Dealer Management System (DMS)? A DMS is a suite of bundled software that dealers use to manage day-to-day operations and record keeping in the following areas: sales, inventory (from one or more locations), money (cash, finance, wholesale, buy here-pay here, etc. ), vehicle pricing, F&I, warranty claims, administration, sales tracking, parts ordering, and creating and managing a CRM database including credit reports and printing paperwork. It would be impossible to run a dealership without a DMS in this day and age. You couldn’t do it with multiple vendor software solutions, and third-party general accounting software wouldn’t work either. To use one example, an internal repair order should add to the reconditioning basis of the car, and automatically update accounting records, otherwise it would be handled three times by three different dealership employees. Security is also an important component, because dealers have lots of personal data that needs to be protected from hackers and even from current and former employees. The DMS should be cloud based, not running on a locally hosted server. It should also be mobile friendly so it can be accessed by tablet or smartphone (e.g. when a salesperson is on the lot with a consumer to confirm pricing and inventory). Any financial transaction should be traceable from origination to completion. All sales should be recorded, all cash and checks deposited, all receivables logged, and every aspect should be subject to audit trail verification. Tracking cash has always been a problem for dealer management, and this needs to be closely monitored. When people are always around a lot of cash, there is sometimes a temptation to take some for yourself. 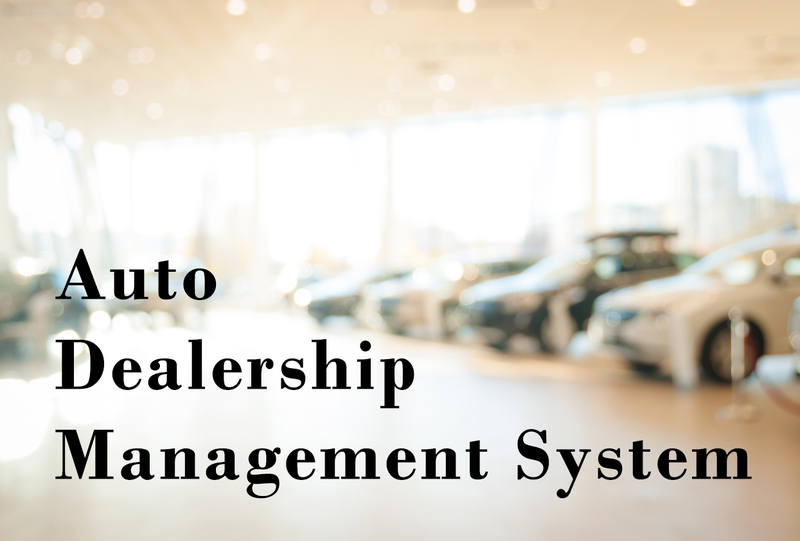 An auto dealer management system can optimize all of these areas. The Association of Certified Fraud Examiners says that the average organization loses five percent of their revenue to fraud annually. Car dealers are susceptible because there is so much money flowing through the store every day. Fraud can happen in so many different ways: the office, service, parts, body shop, wholesale vehicle purchases and sales, etc. A cash receipt can be manipulated, or someone can change the sales tax payable record in the accounting system. A cashier can write checks to themselves, or use a company credit card to pay themselves. Checks can be altered. Bank reconciliation can be skipped. A good DMS will make it more difficult for a fraudster to manipulate the books without getting caught. An additional tool for enhancing good managerial practice is to use the banking services offered by CrossCheck, specifically its future deposit function (Multiple Check) with Remote Deposit Capture. Here’s how it works. The consumer writes from one to four checks and tells the dealer when to deposit them. The checks are run through the imager we supply and authorized and franked for deposit. The checks are given back to the check writer with a receipt for each one. Then, CrossCheck pulls the image file and actually does the banking for the dealer. The funds are deposited in a CrossCheck clearing account, and we later send an ACH credit file to the dealer’s account of choice. The checks are guaranteed by CrossCheck, so dealership accounts are funded whether the checks are good or not. We provide a daily file of checks deposited for reconciliation of the checking account. This makes it a lot harder for a fraudster to manipulate the deposits. In some cases, we are even integrated into the DMS. It doesn’t get much better than that. This is another way that CrossCheck adds value to our dealer customers. Download our guide to learn how Multiple Check and Remote Deposit Capture help auto dealers increase sales and mitigate risk while saving time and money.